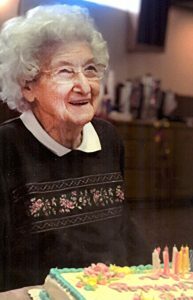 KENSINGTON — Mary (James) Benson of Kensington will celebrate her 103rd birthday on July 22. She was born on July 22, 1915, to Evan and Ruth James. 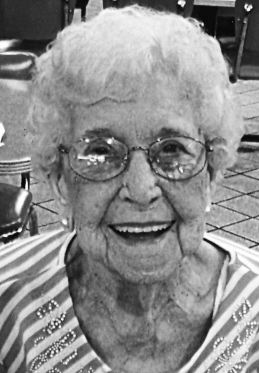 Mrs. Benson, a 1933 graduate of Minerva HIgh School, is the oldest member of St. Philip Neri Catholic Church in Dungannon Her husband, Paul Benson, is deceased. The honoree has a daughter, Linda Sue Beadnell; two grandsons, Stephen (Kathy) Beadnell and David (Cathy) Beadnell; a great-granddaughter, Krista Rae (John) Pine; and two great-great-grandchilden, Ross and Reese Hissam. Her son, Harry Lee Challis, is deceased.